Types of Progressive Insurance Policies for Hail Damage | The Voss Law Firm, P.C. 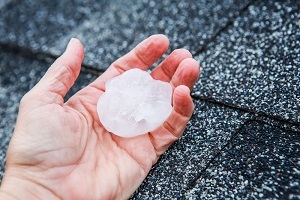 Business owners often face a tough choice after a hail storm: file a claim and watch premiums go up, or forgo a claim and risk additional damages caused by a leaking roof. If a recent hail storm leaves you no choice but to file a commercial property damage claim with Progressive, you may well wonder what to expect as you wait for payment. Attorney Bill Voss examines Progressive’s business and home insurance coverage that could pay for storm damage, and offers tips to help you maximize your coverage. Progressive offers many different types of insurance coverage for businesses, and these options are often bundled into one document called a Business Owners Policy (BOP). Prices and premiums for business insurance vary widely depending on business type, location, years established, the size of the workforce, risk factors, and of course the limits of coverage selected. Property damage. This is the most commonly purchased form of insurance for business owners, and provides payment for damage to commercial buildings, inventory, equipment, stock, and even personal property lost due to a covered event. Business income interruption. Standard Progressive business policies include the protection of business interruption coverage. As long as the property damage occurred due to a covered event, the insurer will pay employee salaries, commercial rent, and certain other expenses incurred while your business is unable to operate. Commercial auto coverage. Personal auto policies will generally not cover work-related vehicle losses, but commercial auto coverage will pay for body work and windshield damage caused by hail. Policyholders may also be able to minimize their losses by choosing paintless dent removal, a method of repairing body work on new vehicle models without invalidating paint warranties. Progressive offers a combination discount if this coverage is chosen in addition to other business options. If your home was used to house any of your business effects, your home insurance policy may provide coverage for damage to inventory or a home office. Standard homeowner’s policies include damage to the dwelling (the house and any unattached structures such as fences, sheds, and garages), personal property (contents of the house such as furniture and appliances) and loss of use (pays for additional living expenses if you must move offsite during repairs. It is worth noting that a standard homeowners policy may not provide payment for certain natural disasters, such as floods, earthquakes, and hurricane damage. Policyholders should read their policies carefully to determine whether insurance will cover windstorms and hail damage. If it does not, home and business owners may opt to purchase hazard insurance to protect their property from disasters. Guaranteed Replacement Cost. This coverage pays the replacement cost of damaged items rather than actual cash value. Inflation Guard Endorsement. This option automatically adjusts your home insurance limits so they always meet at least 80 percent of the home's replacement cost. Scheduled Personal Property Endorsement. This insurance provides coverage for treasured personal items, such as furs, jewelry, antiques, collectibles (such as stamps or coins), guns, paintings, and other valuables. Secondary Residence Endorsement. If you conduct business out of a secondary residence (such as a vacation home), you may be able to get payment through this optional home insurance policy. Many business owners who are forced to shutter their doors after a major storm will never see those doors reopen—all because an insurer refused to cover the costs of damages. If you have paid your premiums for years and are now fighting to collect fair payment from an insurer, we can help. Simply fill out the form on this page today to contact the Voss Law Firm or order a free copy of our book, Commercial Property Owners Must Read This BEFORE Filing an Insurance Claim.